I heard about Pack for a Purpose on NPR two weeks before leaving for Costa Rica in April 2014. We were traveling to the Guanacaste Region with our two sons, age 7 and 10. We thought this was a great way to teach them about giving. After looking at the list for the project supported by Cala Luna Boutique Hotel & Villas, the boys decided to use their allowance money and purchase school supplies. Additionally, they asked their soccer teams to donate any used cleats and gear for us to bring. 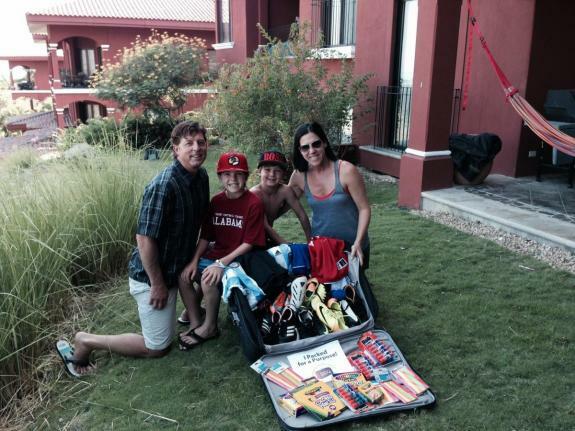 We left on April 4, 2014 with a 50 pound suitcase filled with used soccer equipment and school supplies. 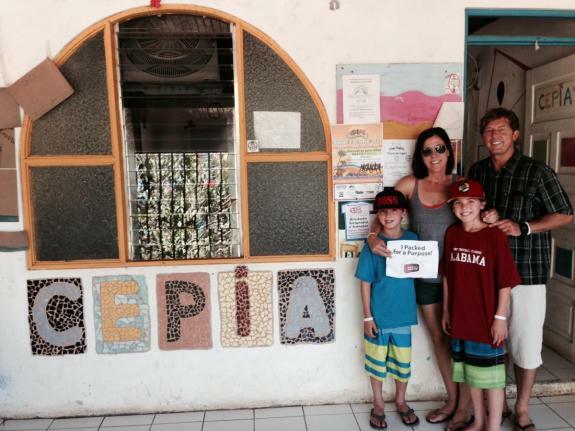 On April 8, 2014 we arrived to CEPIA in Huacas, Guanacaste and delivered all of our donations. It was a very rewarding experience for us all. Thank you Pack for a Purpose for connecting us!